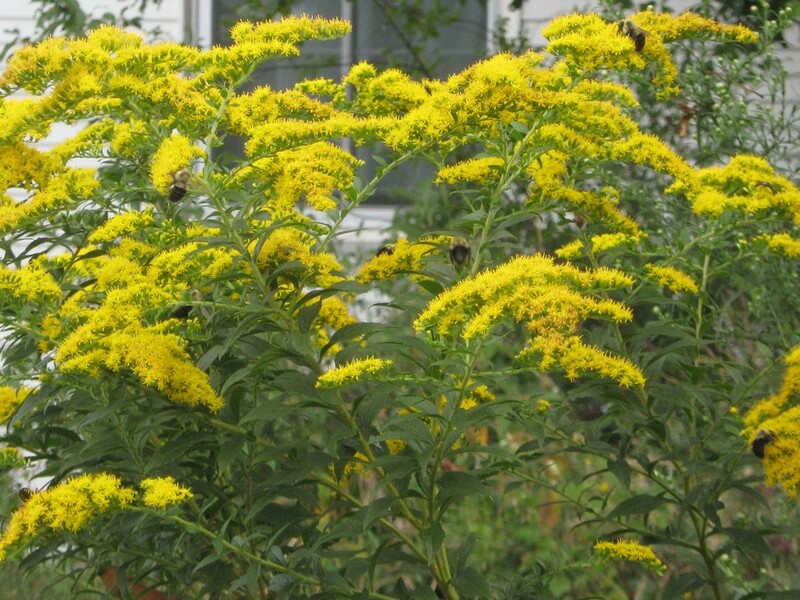 I wish I could get the camera to convey the abundance of bumblebees on the goldenrod today. The sun is back and it’s found a perky stand of goldenrod in full color. Lots of bumblebees have found it too. Usually I could spot at least six or seven on it at a time. In this, the best of a blurry lot of pictures, you might see six or seven bumbles, too. PreviousWill the mystery plant remain unsolved? NextHey squirrels, look at the corn you grew!